In this week's episode, Adam Jude talks to Portland State coach Bruce Barnum, hears ex-UW QB Damon Huard's thoughts on Jake Browning, and catches up with WSU Cougars reporter Stefanie Loh. 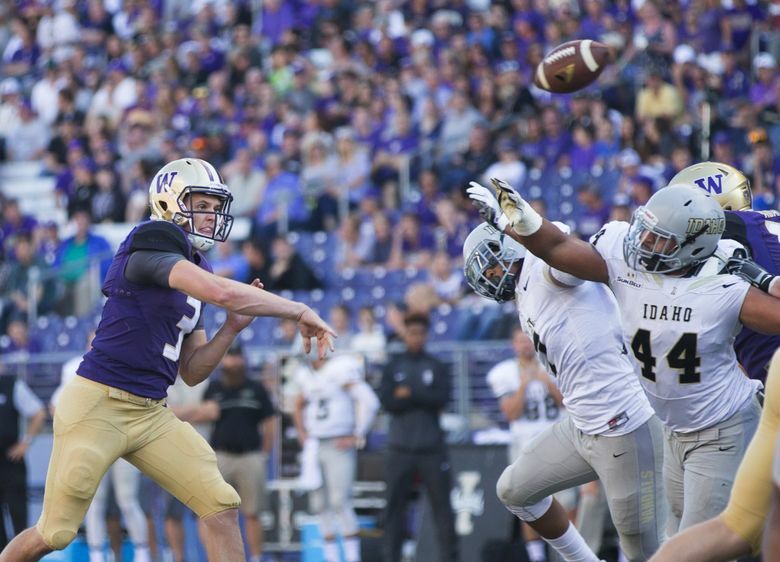 Huskies rout Idaho, 59-14 … giving backups such as K.J. Carta-Samuels and Connor O’Brien a chance to shine. Jake Browning ties UW record with 5 TD passes … and former UW quarterback Damon Huard weighs in on Browning’s progress. The final nonconference game is Saturday … and Portland State coach Bruce Barnum believes the Huskies are legitimate national-championship contenders. Also, our weekly visit with Percy Allen, plus we check in with Times WSU beat writer Stefanie Loh on the Cougars’ 0-2 start. Also, you can find and listen to past episodes of Husky Headlines.